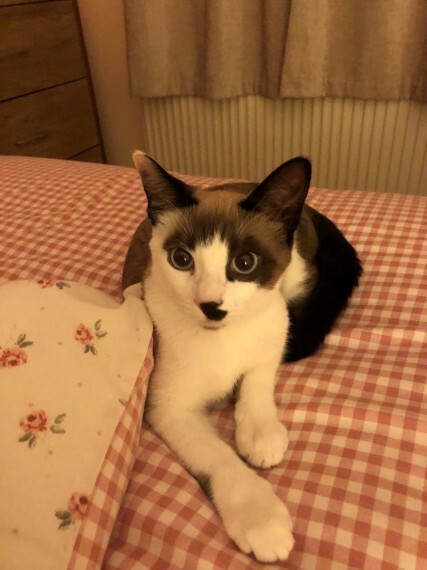 We have a beautiful neutered male Snowshoe kitten available. his name is Shere Khan. he is a lovely boy with an excellent friendly temperament and loves to play with toy mice and toy wands with feathers. he has a slight kink in his tail that just adds to his beauty. He is very friendly and gets on with our other cats.kittens and loves to play with our grandchildren. he is Vaccinated. Neutered. Registered with GCCF. wormed and litter trained. Please contact if you are interested in giving him a loving forever home. Thank you. No time wasters or photo collectors.